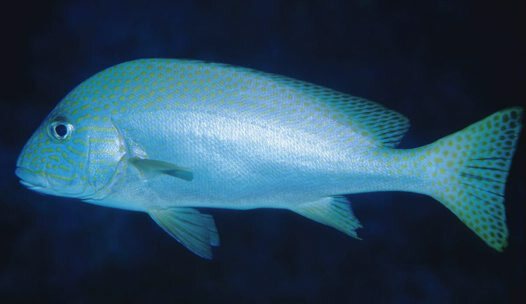 Australian Slatey, Blackall, Bluey, Grey sweetlips, Moke, Morwong, Mother-in-law Fish, Painted Blubber-lips, Painted Sweetlip Bream, Slate Bream, Slate Sweetlips, Slatey Sweetlips, Smokey Bream, Thicklip, Thicklip Bream, Yellowdot Sweetlips. They are known as "Mother-In-Law Fish" because some people think that they are so bad to eat that you only give them to your mother-in-law. However, when cooked correctly, they are quite nice.